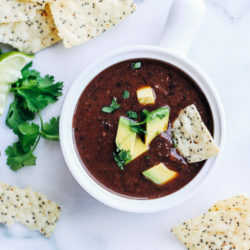 Who here loves black bean soup? I know you can’t see it but I promise you my hand’s raised high. Plus the two recipes I already have on my site should be evidence enough. So you’re probably wondering why on earth I would be posting a third black bean soup recipe?? Well the first one I shared is my all-time favorite but it’s not the easiest to make. The second one is easier but it requires me digging the slow cooker out from underneath my bathroom cabinets which I’m not quite ready for yet. I will be soon though because #winteriscoming. Sometimes I just need something I can throw together with whatever I have in my pantry and it not require any chopping or standing around in the kitchen. 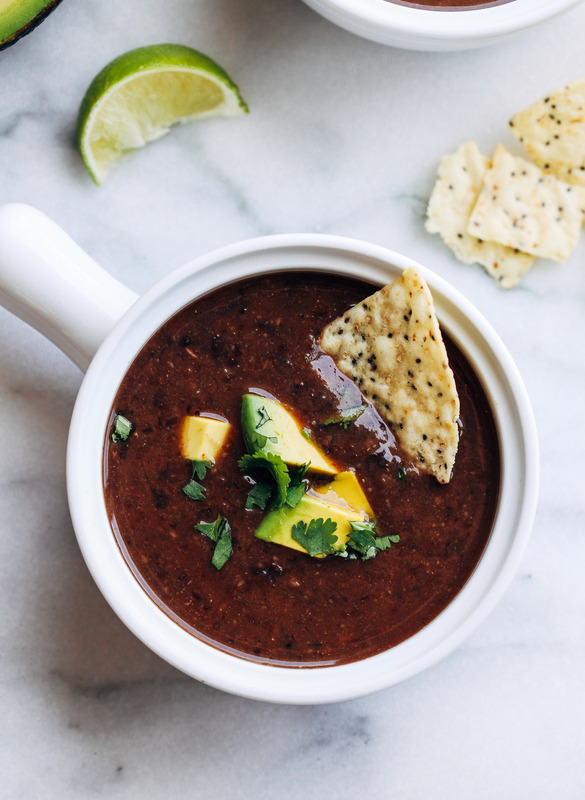 This 5-Ingredient Black Bean Soup is the answer, my friends. I know some of the sophisticated culinary peeps out there are probably snickering at this recipe but I’m okay with that. I don’t care how simple it is as long as it tastes good and I’m getting the nutrition I need. Beans make that easy to do because they’re not only affordable but they’re also a significant source of protein, fiber, and iron. Because of their awesome nutritional profile and the fact that they’re drought-resistant, making them a sustainable and environmentally friendly option, the United Nations has chosen 2016 to be the International Year of Pulses. Examples of pulses include dry peas, lentils, beans, and chickpeas. I created this recipe in partnership with USA Pulses and Pulse Canada in hopes that it will inspire you to join me in taking the Pulse Pledge – a commitment to eat pulses at least once per week for 10 weeks. Not only will it help reduce your carbon footprint but it’s also beneficial for your overall health. 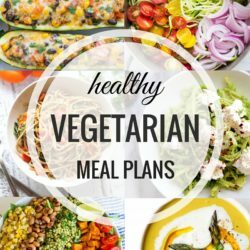 Plus, you’ll get free recipes, win-win! Visit www.PulsePledge.com to learn more. I recommend using BPA-free canned beans whenever possible. BPA is nasty stuff. Be sure to choose a quality salsa as it lends the majority of the flavor in this recipe. I always try to avoid any with added sugar or preservatives. 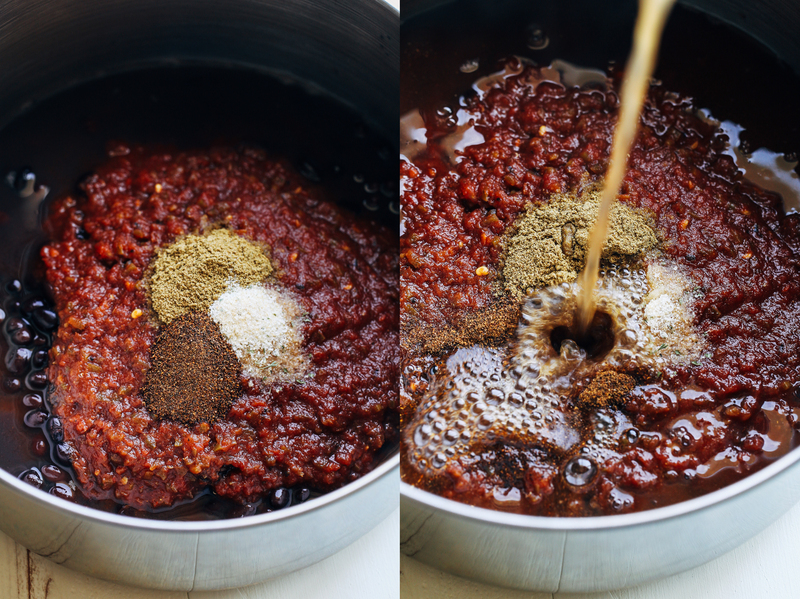 Pick the level of heat for your salsa (mild, medium or hot) that you would like for the soup. I also like to stir-in a teaspoon of chipotle powder for a slightly smoky heat. Feel free to add your favorite spices that you have on hand too! Toppings are not required but they make it taste even better. I like to add fresh squeezed lime juice, avocado, diced tomato and cilantro. Oh, and tortilla chips. I’ll take any excuse to eat more of those. In a large pot, combine one can of beans, salsa, vegetable broth, cumin and chili powder. Feel free to add any of your favorite spices as well. I like adding a teaspoon of chipotle powder for it’s smoky, spicy flavor. Stir everything together then bring to a boil. Allow to cook for 10 minutes, stirring intermittently. Using an immersion blender (or a regular blender) blend the soup until thickened. Stir in the remaining can of beans and cook for 5 more minutes. Add salt (or garlic salt, if you have it) to taste. Serve warm with your favorite toppings (such as diced avocado and cilantro) and enjoy! *Be sure to choose a quality salsa as it lends the majority of the flavor in this recipe. I always try to avoid those with added sugar or preservatives. Pick the level of heat for your salsa (mild, medium or hot) that you would like for the soup. **I prefer to use 1 teaspoon of the bouillon pictured above combined with one cup water to create my own broth. The flavor is so much better than store-bought broth! This post was created in partnership with USA Pulses and Pulses Canada. All text and opinions are entirely my own. Thank you for supporting the sponsors who make it possible for me to bring you quality content! 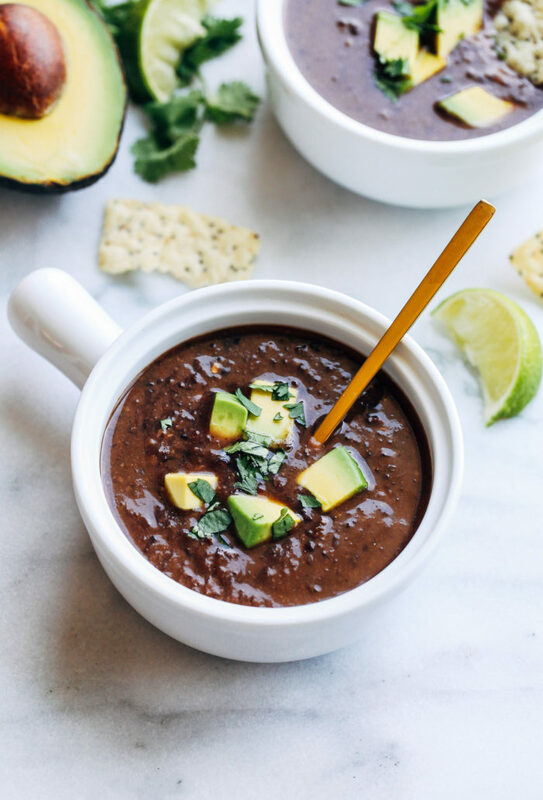 I’ve officially made it my mission to make all three of your black bean soups – they all sound so tasty, and each one definitely has its place in my heart and home. Loving how simple this recipe is to prepare! I could definitely see it being a staple in my life! You are brilliant :) Thank you for reminding us all how easy cooking can be. Not every recipe needs to be complicated. This gives us back time with our families. 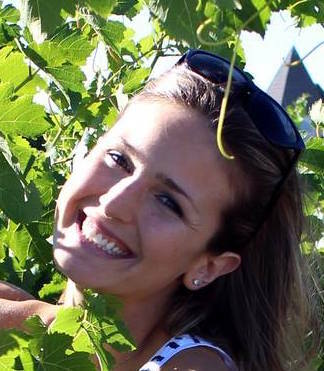 I love your simple uncomplicated, unfussy, but totally recipes! 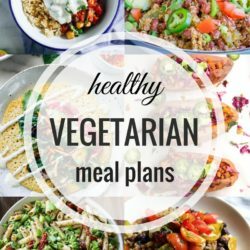 You make vegetarian/vegan/any style of cooking look effortless. 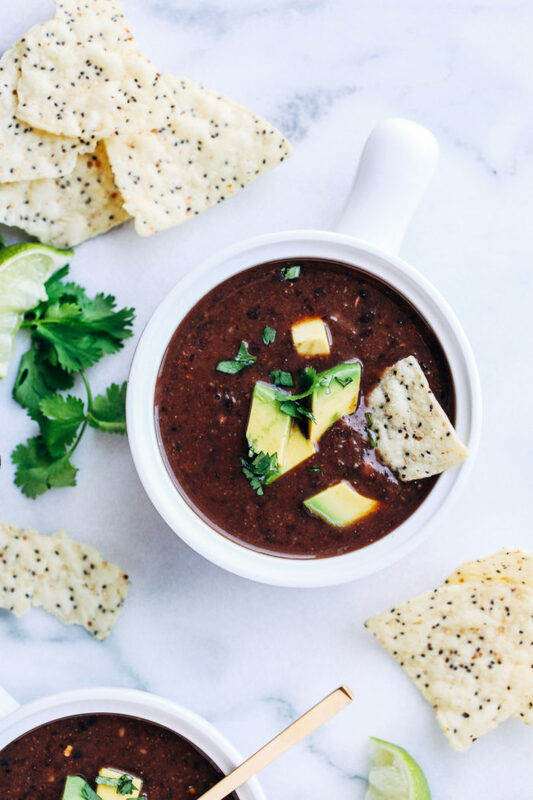 This 5 ingredient black bean soup just emphasizes that- you developed so much flavor with so few ingredients. Pinning! This is my kind of recipe! 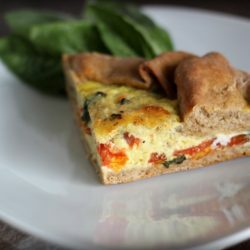 I love the super simple ones and this looks delicious! 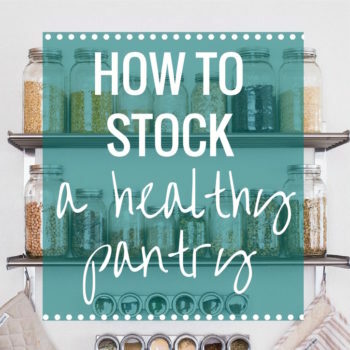 I love that this is made from all pantry staples! The majority of my kitchen equipment is still all packed in boxes so I need super simple meals right now! This sounds just wonderful. I will be living out of boxes in a about a month because we are moving too. Definitely not looking forward to that part! This is such an awesome idea for an easy soup! Loveee the use of salsa as a shortcut. Definitely going to be trying this on one of my I-don’t-feel-like-cooking nights. I loveee black bean soup! And who doesn’t love short ingredient lists?? 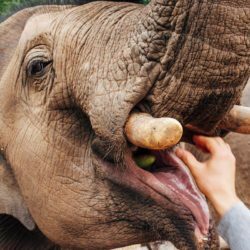 I eat beans just about every day! I haven’t tried making it from black beans but I’m sure (if you cooked them first) you could add them to this recipe in place of the canned beans. I think it would come out to about 3 and 1/2 cups beans to replace the cans. I hope that helps! The only thing I would add for this recipe, especially if you are using a traditional blender, is to reserve some of the salsa and beans. 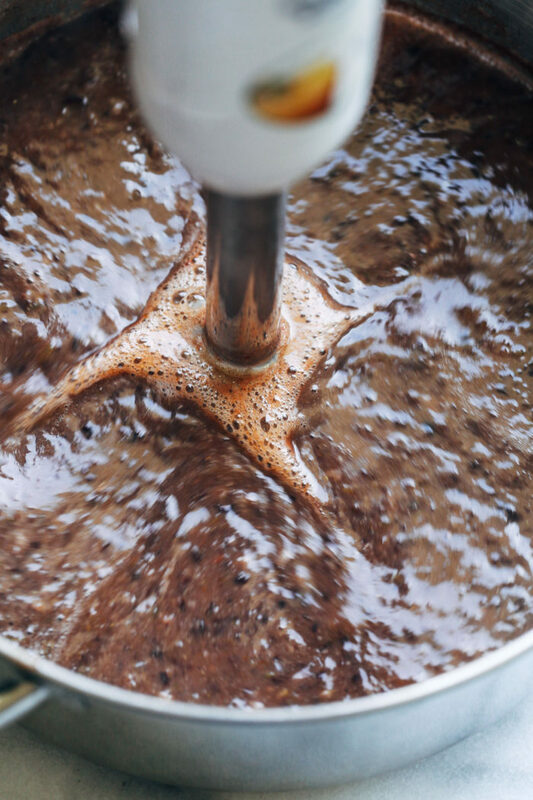 We made the recipe with our Blendtec blender and the mixture came out so smooth that it was a little unsettling (like eating a bowl of refried black beans). The next day I added a can of black beans with liquid and a small can of salsa and the texture was much better. Hi Alex! The instructions actually say to reserve one can of beans and add them after blending. Sorry you missed that step! I’ll try to rewrite it so that it stands out more. Thanks for the feedback! Why so much sodium? Cannot have much salt in diet. 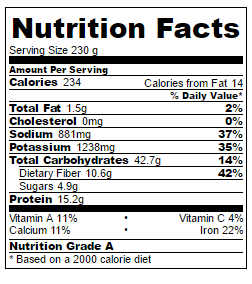 The sodium amount is high because the nutrition calculator is based on generic ingredient brands. 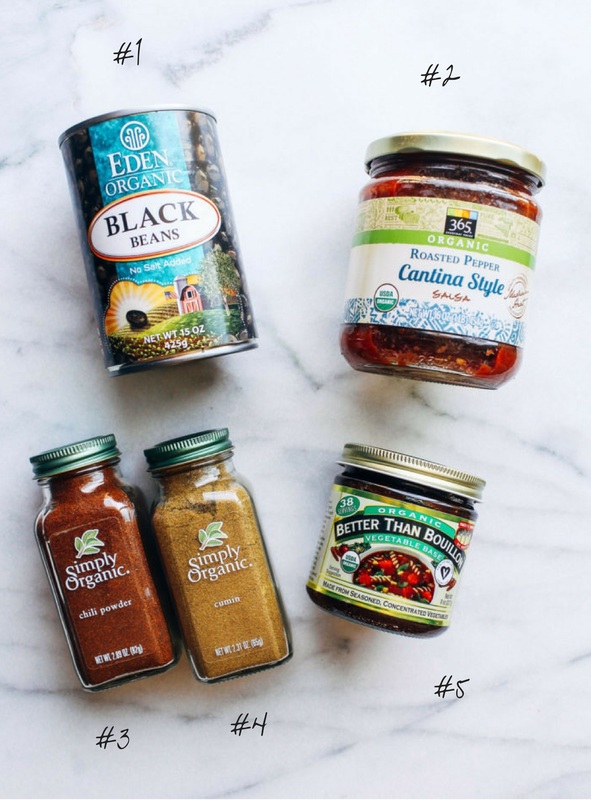 I have since found a more accurate calculator and have updated it according to the brands I use, like Eden organic black beans which have no salt added. The amount will vary based on what you use. For example, if you use a low sodium salsa and low sodium vegetable broth then it will drastically lessen the salt content. You may need to taste test and add more seasonings depending on your preference. I hope that helps! This sounds so good! I want to take the soup to my Book Club luncheon. Can it be doubled? What would you recommend? Thank you! Hi Carolyn! I think you could just double the recipe as listed. Just make sure only to blend half of the beans so that there is still some texture. 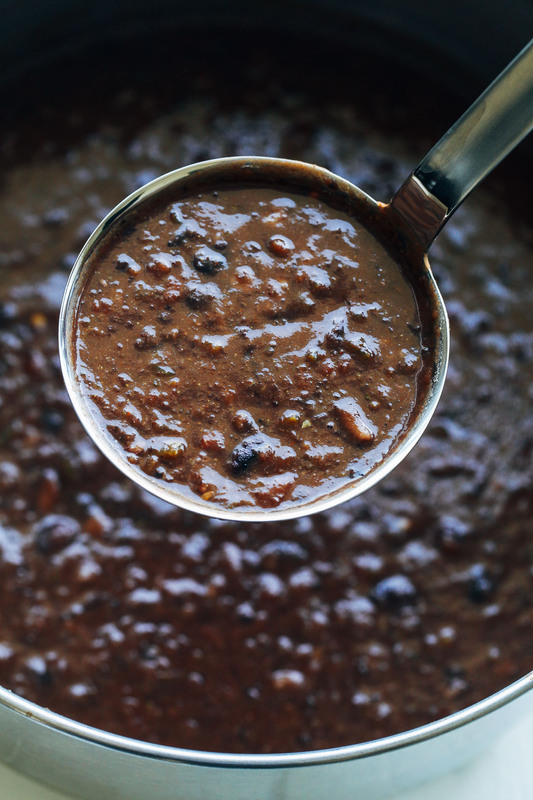 The recipe is so simple, but has all the right ingredients for a black bean soup. Thank you! This is as good as any black bean soup I’ve ever had or spent five times as long cooking! How can 6 ingredients (I added chipotle powder) taste so good? Thanks so much. Thanks for the feedback, Ellen! Thanks Glenda! I hope you enjoy it. Hello! This looks like an amazing and yummy recipe. 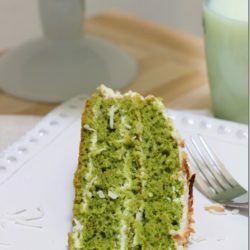 I am a college student however, and have no blender…is it possible to make this without the use of a blender? Hi Diana! You can definitely make it without a blender. Blending half of it just helps give the soup a thicker/creamier texture. You might try mashing some of the beans with the back of the spoon as it cooks to achieve a similar effect. I hope that helps! Loved this soup not only because it is so quick to make using ingredients that are always in the pantry but also because it is healthy and tastes so GOOD! Showing my husband how to make as he loves it, too! Thank you so much for sharing. Definitely a keeper. 5Stars!